When is it: The winners will be announced at the Bett Awards dinner on Wednesday 30 January, 2013 at the brand-new Grange Tower Bridge Hotel, Tower Bridge, London. 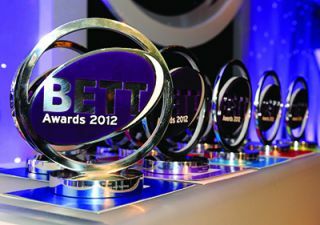 www.bettawards.com. What is it: A 700-seat amphitheatre in the centre of the show floor designed to connect visitors with internationally renowned experts in the field of learning and technology across the spectrum, who will share their knowledge and insights with Bett visitors. Highlights include Anthony Salcito, VP of Education at Microsoft, Tech&Learning Big 10 honoree Sugata Mitra, and flipped classroom pioneers Aaron Sam and Jonathan Bergmann. What is it: The School Leaders Summit at Bett 2013 offers the senior leadership teams of K-12 educational establishments the opportunity to hear from other education professionals who can help make sense of all these changes. Over 40 speakers including Glenys Stacey, Chief Regulator and Chair, Ofqual, Ken Muir, HM Chief Inspector of Education, Education Scotland, and Michael Levine, Founding Executive Director, The Joan Ganz Cooney Center at Sesame Workshop. What is it: New to Bett 2013, the Technology Training Live suites will give visitors the opportunity to try out the latest classroom software and online lesson tools. Free demonstrations and training sessions will run throughout the show, offering a calm space away from the floor in which visitors can fully evaluate and understand new classroom technology and teaching techniques. Topics include: Learning with iPads, Creating Mobile Apps, STEM strategies.